I’ll be heading to Oslo for a DJ set at Dattera til Hagen this Friday the 7th of August, followed by another DJ gig at Kulturhuset on Saturday 8th. On Sunday the 9th I’ve been invited to co-present Aphex Twin’s “Selected Ambient Works 85-92” at Classic Album Sundays‘ Oslo event. 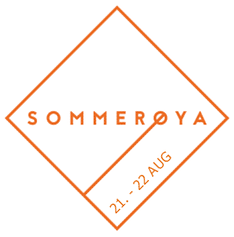 Then, a couple of weeks later, on Friday the 21st, I’ll be back in Oslo to play a live gig at the Sommerøya festival alongside Truls & Robin plus more. And finally the weekend after that, on Saturday the 29th, I’m teaming up with Bjørn Torske and Doc L Junior for an exclusive 3 hour live/dj jam at our UFO-Lounge at Rakettnatt‘s afterparty in Tromsø. Hope to see you at one or more of the events.